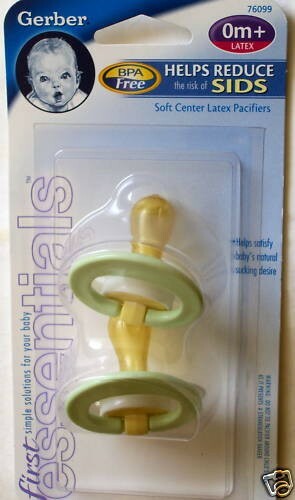 Gerber Soft Center Bulb Pacifiers - Most preferred by Mom's!!!! Helps satisfy baby's natural sucking desire. Soft natural latex rubber bulb provides extra comfort. Sheld fits baby's mouth in any position. You will receive one package with 2 Green and White pacifiers.